By 2018, cloud BI will account for a third of net new BI and analytics buying*. Why the heavy adoption? And if you’re considering cloud BI, what should you look for ― and avoid? 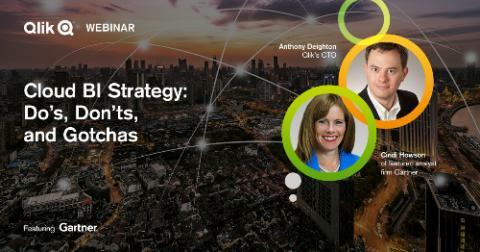 Plus, Anthony Deighton, Qlik’s Chief Technology Officer and Senior Vice President, Products, will share the latest on Qlik’s unique hybrid cloud strategy.